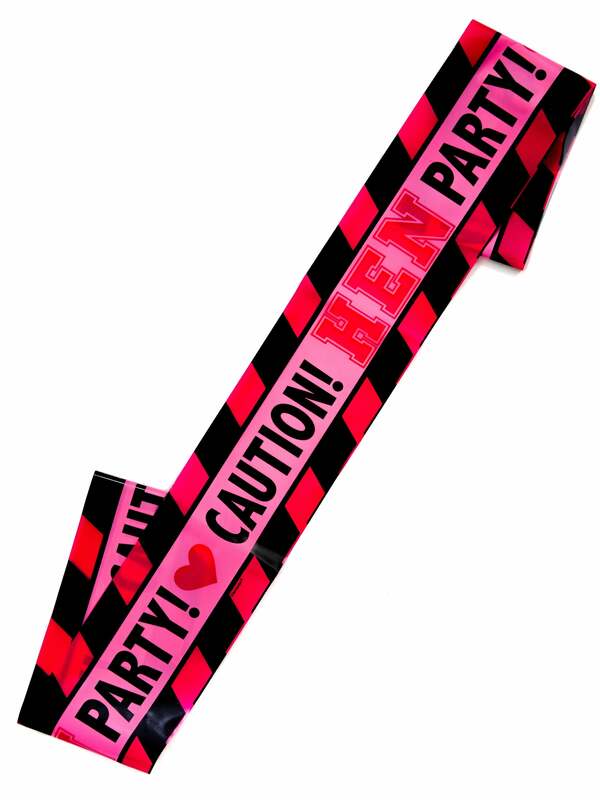 Keep out unwanted intruders with this Hen Party Tape in Pink. This funky tape is made to resemble police tape, with pink and black stripes and a repeating message that reads, 'Caution! Hen Party!'. Hang it up around your hen party venue to ensure it remains a 'girls only' zone! Be sure to also check out the rest of our hen party decorations, such as this gorgeous Bride Honeycomb Table Centrepiece and this Pink Decoration Puff Ball.